The cloud formation off the Pacific Ocean has developed into a Low Pressure Area (LPA), state weather bureau PAGASA reports. 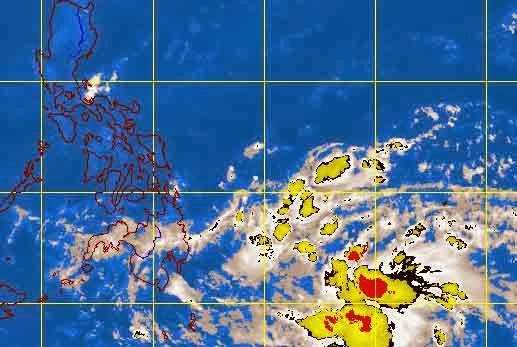 Senior weather forecaster Jori Loiz told Interaksyon.com that the LPA is expected to enter the Philippine area of responsibility (PAR) via east of Mindanao on Monday, November 11. Loiz reportedly said the LPA has a 50-50 chance to develop into a tropical depression. He said, however, that the Japan Meteorological Agency (JMA) has already upgraded it as such. Once it becomes a tropical depression, Loiz said it will be named Bagyong Zoraida, the third cyclone to enter the country this month and the 25th for the entire year, the report said.